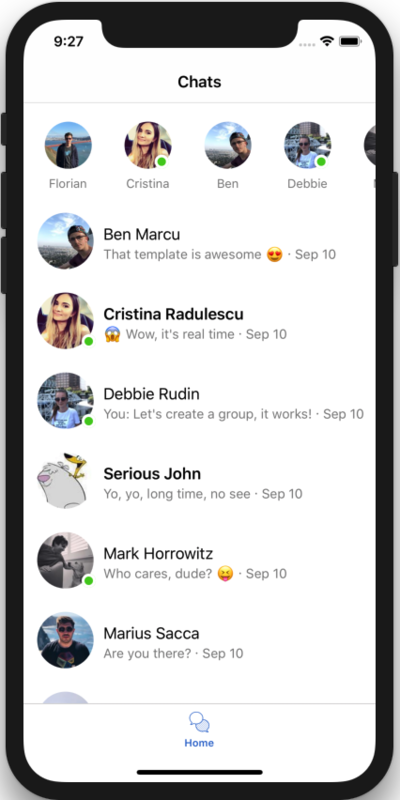 Download our app template freebie and make your own iOS Chat app in just a few minutes. Written in Swift, this Xcode project is a complete implementation of a working chat app. 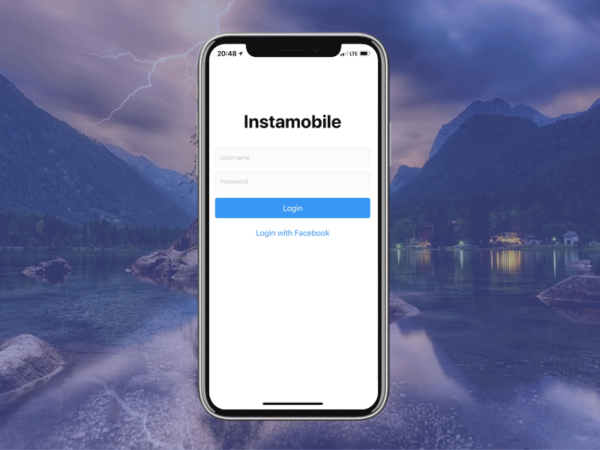 The backend system used for messaging is Firebase Firestore, where it stores and retrieves the messages being sent via the chat app. 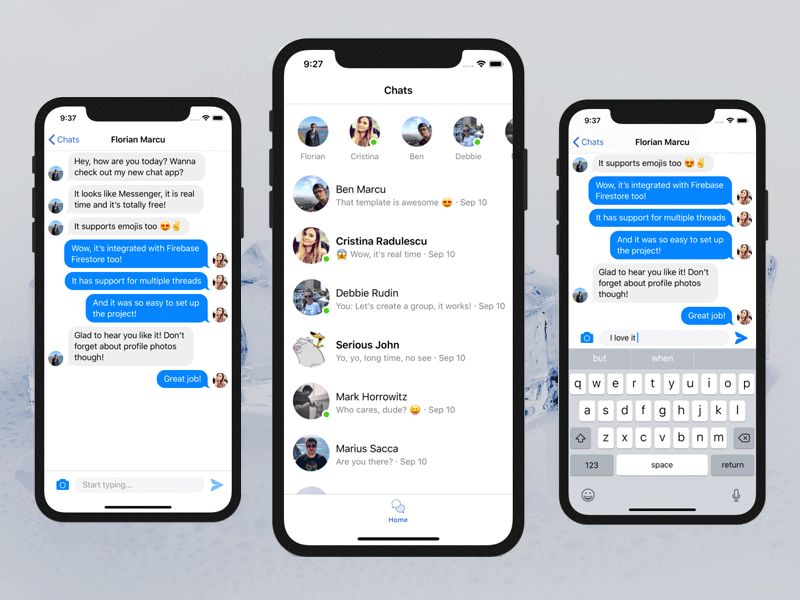 Inspired by Facebook Messenger, this iOS chat app template will give you and your users an amazing mobile experience. 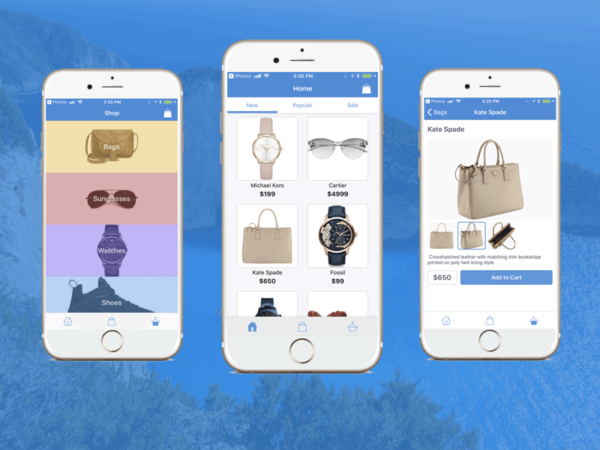 A familiar messaging design is great for your userbase since users are already comfortable with the look and feel of Messenger, as well as its general messaging flow. Using an industry standard app design for chatting is a powerful way to boost user engagement and maximize your chances to succeed! Everyone loves those bubbles and tails UI views! Built on Firebase Database, this iOS chat app is leveraging the security & reliability features provided by Google itself. Firestore is a cutting-edge database, which is extremely powerful, being both fast and reliable. If you play with the implementation, you’ll notice that everything is kept in sync in real-time. Your messages are being sent instantly and are stored securely. No need for your to reinvent the wheel. Looking to learn how to build an iOS chat app with Swift & Firebase? 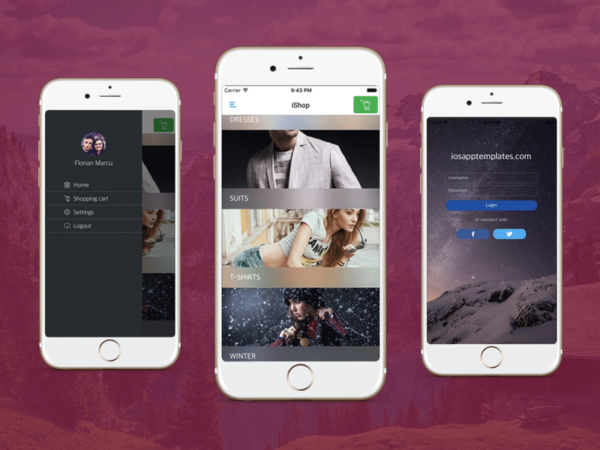 Download our free app template and check out the source code. 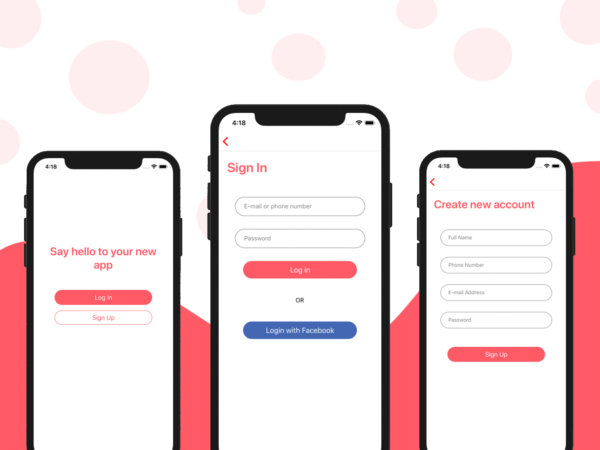 Additionally, we’ll be adding a few tutorials to explain the code in details so that any iOS developer who’s learning Swift can take advantage of our mobile app freebie.